Mozilla has confirmed that Firefox 3.6 will be arriving in December – and will usher in an era of six-monthly major updates for the popular browser. The arrival of 3.6 will bring minor tweaks and some personalisation tools for the browser, as Mozilla looks to continue it's impressive growth in the browser market. Talking to the Telegraph, Mozilla's Tristan Nitot confirmed that December would see the arrival of the next iteration, and that another would be along by June. "We are trying to release an update every six months," said Nitot. "Users will see less big changes from version to version but there will updates out more regularly." Firefox already automatically pushes through minor updates, but major updates indicate key changes to the browser. 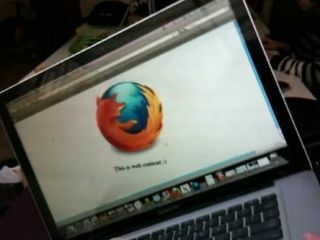 Firefox 3.6 will bring the potential to take advantage of accelerometers as well as the ability to change the look and feel of the browser with one click and open, native video support.